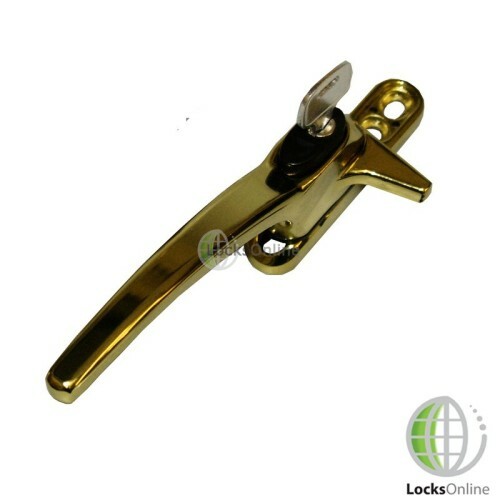 These models are available in polished brass, silver and white finishes. 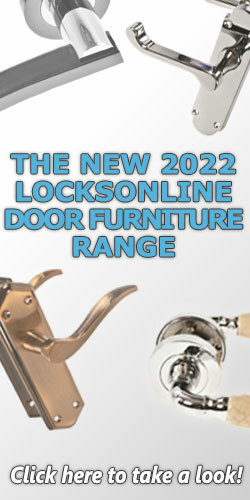 The key on these models are the same, allowing you to interchange them with different finishes around your home. These models are also available in different stacking heights, 2 different stacks sizes are available, 12mm and 21mm. This can be measured with a ruler from the base of the handle to the underside of the cockspur. 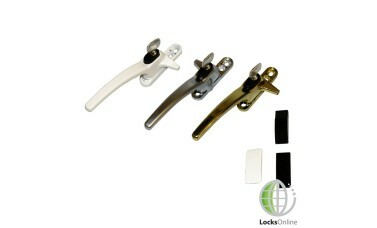 There are two different fixing centres on these handles (38mm and 60mm). 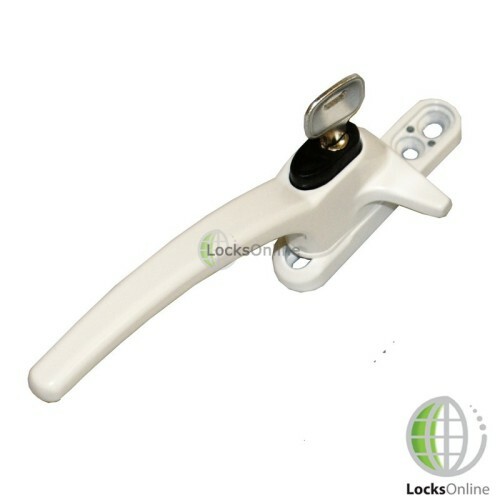 This range of cockspur UPVC metal window handles has been designed and manufactured by Charisma. 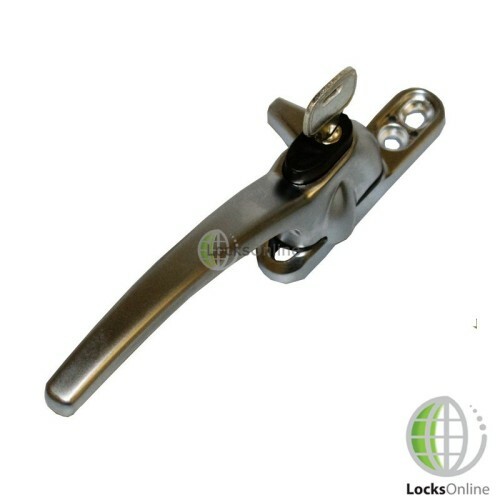 If you are unsure as to the model you have, if the handle is to the left of the cockspur, then your model is left. The opposite applies if you are looking for right handed versions. These models are handed, please check the correct version before ordering. 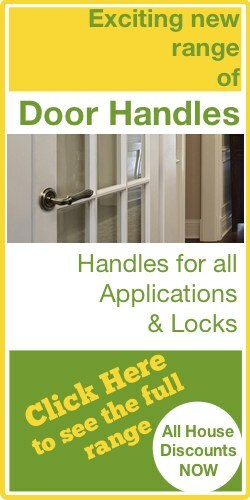 Today we're going to talk about cockspur type window handles that now are available on our website. This is a range from a company called Charisma. They're doing quite an extensive range. What we're going to do today is sit down and explain to you all the differences between all the different styles, and the handling and so forth, and what you can actually use them on. So first of all, let's have a look at the finishes. They're available in three different finishes. As you can see here you've got a nice brass, white or silver finish. So they all use the same key as well. 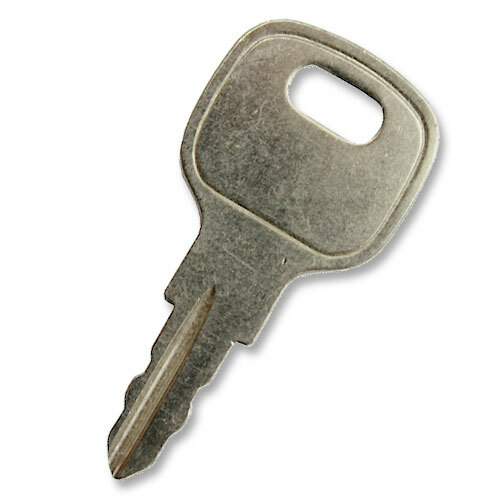 So if you've got brass over one side of the house, and white over on the other side of your house, it doesn't really matter because the keys are unique in as much as they all use the same key. There's no problem there, so you can mix and match the finishes if you want and still keep the same key. One of the other things that I wanted to mention is that these are handed. They're left- handed and they're right-handed, depending on which way the cockspur is actually sticking out. And the easiest way to do that is to look at the actual handle. In this particular case, I'm looking at it and that's why I go to the side. And if the handle is on the left of the actual cockspur then this is a left-handed. If it was on the right, and here is a right one as an example, the actual handle is actually situated on the right as far as I'm looking at it, and then the cockspur is on the left, then this is a right-handed. That's how you would actually measure them. This is a bit of a LocksOnline top tip. Now, they also come in what they call different stacking heights, in other words how far does the cockspur come away from the window because these could be fitted out on aluminium style windows, they can be fitted on a range of wooden windows I'm sure they can be fitted on also, and they can also be fitted on the UPVC and the plastics type of windows, especially back from the ‘80s and ‘90s before they started having multi-point locking solutions within the windows themselves. So what we need to know is about stack height. And there are two standard measurements on the stack heights. If I actually put these to one side, I'll be able to give you some sort of idea. The two stack heights are 12 and 21mm, and the easiest way to measure those is to actually get your ruler, and put it down, and it's the distance from there to the underneath. It's either going to be 21mm, in this case it's 21mm, or 12mm and as you can see there's a big difference there between the two. So that's the easiest way to be able to measure the stack height. You need to check that if you're thinking of retrofitting a set of these, then you need to find out what kind of stack height you have. So that's another top tip. What we're also going to have a look at as well is the fixing centres. 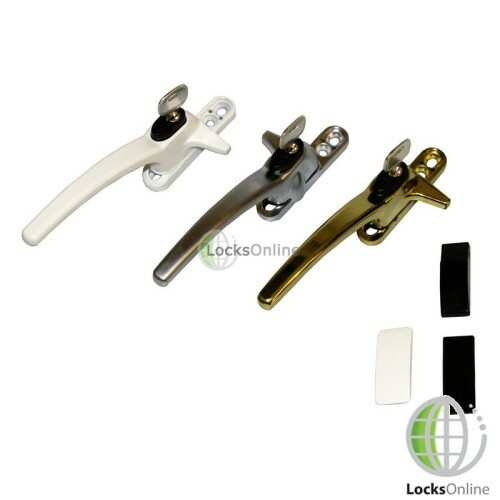 These particular cockspur handles, they do have a range of different fixing centres and so forth here. We've got slightly oblong screw centres here that allow a little bit of play backwards and forwards. I'll get you those measurements now. The inner ones there are 38 or 39mm, the outside ones roughly to the centre there, is round about 60mm. So there's a lot of range there as well should you need to. I'll also give you the projection length there as well, that might be well with you knowing. That comes out there 20 mm. Now we also do, in this particular range, we do a set of the actual keepers, whatever you want to call them, in a range of browns or in a range of whites. This is the part that can actually be fitted onto the frame, which allows them to be actually moved on there. Maybe you've lost these or they're damaged or dirty. If you're going to put new handles on, you may want to look at changing these as well. These don't come as standard, you would need to order these as a separate item. Normally it it's on a UPVC, you've got these little nodules out here that help to fit it on, and you would need to drill little holes there to allow to be set in, and the rest of it, guys, is just simply glued into position. They come in different thicknesses. They come in 3mm, that's the 3mm one there. It's quite thin. And then they come in 5mm version, which is a little bit deeper again. And at the end one, which is a good 8mm as their standard. 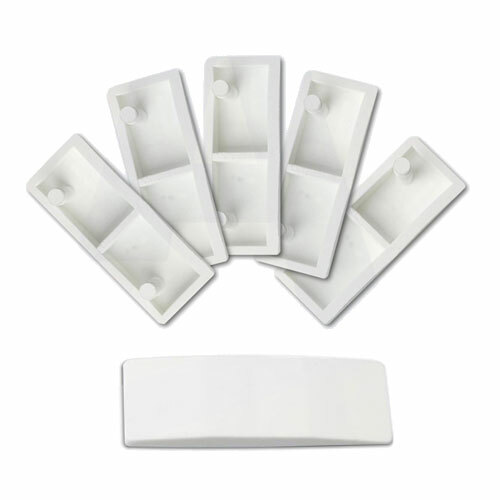 Once you've actually screwed these into position, and you've put the screws and so forth in there, you can then have these little plastic gap covers, and they're self-adhesive, and they would then sit over there to hide the screws. So there you go. So anyway, this is the range of Charisma cockspur handles. They're available on our website. 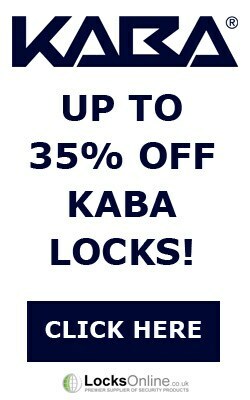 They do fit a whole host of different types of locks and solutions. So if you're looking for a cockspur handle, then chances are that these should be able to fit. They're very, very universal in that respect. If there's anything else that you need, or you're not 100% sure, feel free to pop us over an email, use our live chat on our website, it's totally free, and you can chat with me or any of the guys. 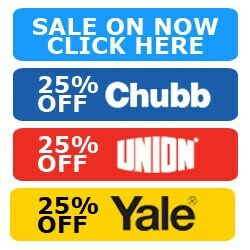 We're all pretty knowledgeable on this range of products. Ultimately, we'd love to hear from you and, more importantly, we'd love to see you as a customer. That'd be really good for us. So from me, Darrell, and all of us here at LocksOnline team, take care and we'll catch up with you real soon. Bye-bye now. Bye-bye.